I found a Ministry of Food recipe for belted leeks and couldn’t wait for lunch time today and I’m pleased to say this quick and simple dish was delicious. Use margarine or butter. Heat 1 oz of this in a pan and mix in 1 oz of flour, cooking over a low heat and then add in slowly while stirring, 1/2 pint of liquid (milk, milk and stock etc). Keep stirring and as the sauce comes to the boil it will thicken. Season to taste.. Some sights from Saturdays Farmers Market in Bridgewater.. 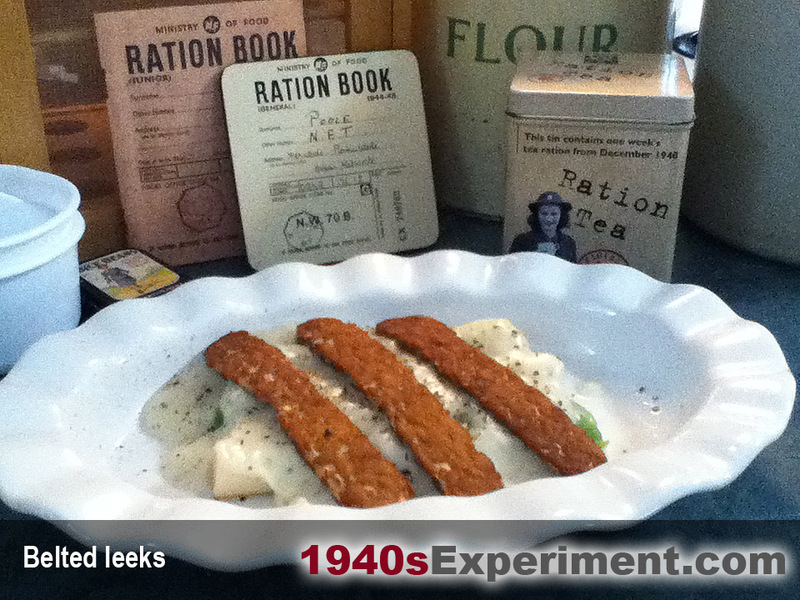 This entry was posted in Uncategorized and tagged 1940s experiment, belted leeks, wartime rations, wartime recipes. Bookmark the permalink.